We are the students of the Hannah-Höch-Primary School in Berlin - in this week, we are dedicating everything to fairtrade. Well, for us here it means, that you can support workers in Asia, Africa and South America already when shopping, so they can live a better life. With the Fairtrade products, that's different: The people get a fairer wage and there are a lot of better things worth recognition: for example, no use of toxic chemicals, most of the stuffs are 'organic' and there is extra money from the sales to cater for kindergartens, school lunch, mosquito nets and even some basic medical care. 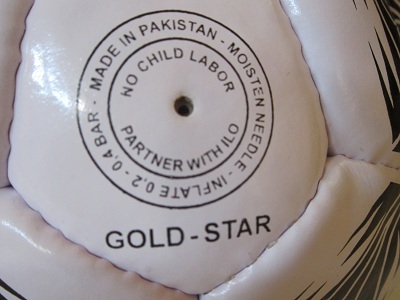 To find out how it all works, well, we have researched about some products, for example: how rose flowers are grown in Africa and South America and how footballs are manufactured in Pakistan. 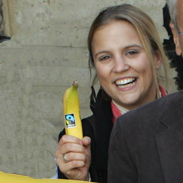 We spoke with Maren Richter from Fairtrade-Germany. 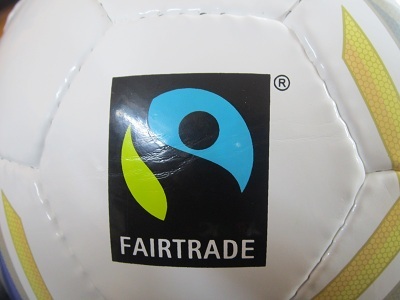 Maren told us that Fairtrade products are widely available, but - she cautioned us on what to look for when shopping. 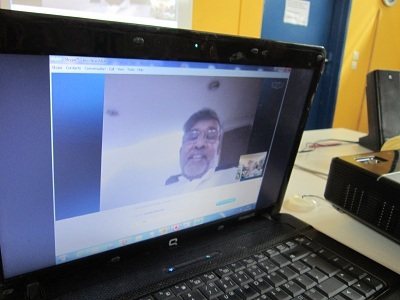 We then interviewed Kailash Satyarthi from India. He is the chairman of Global March Against Child Labour, a global campaign that has advocated for many years to ensure that children do not have to work but instead obtain a good education. And there is still much to do, because worldwide there are nearly 200 million children between 5 and 14 years, who work every day and under very hard conditions! 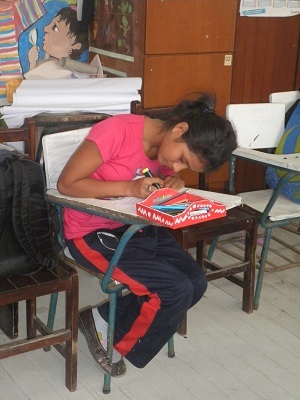 Ana, Junior, Ofelia, Diana and Jemima, former child laborers from Peru in South America, told us how they have succeeded with the help of the organization CESIP to finally go to school. Chifundo, Polina and Chikumbutso from Malawi in Africa talked to us about their work on a tobacco farm. The three have worked on tobacco plantations, planting and harvesting for many years. According to recent studies working on a tobacco farm is as unhealthy, equivalent to smoking 50 cigarettes a day! * Can you imagine that? By the way, Tobacco does not belong to the Fairtrade products, and will never be one: reason being, no matter how you grow it, in addition to the dangers associated to smoking, it is also harmful to the plantation workers! 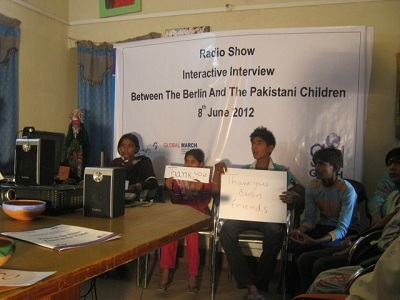 And, we also spoke to the children in Pakistan, some of these have worked in factories or earned their living before by collecting garbage. 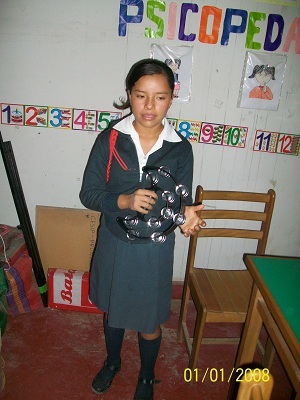 Thanks to the organization GODH, they can now go to school. And back to Germany, we went back shopping! We asked people in the supermarket, what they know about Fairtrade: also, we wanted to buy Fairtrade products for our 'fair' breakfast '. 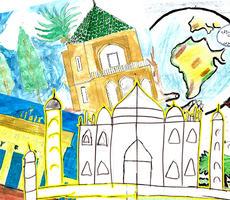 For that, and much more on the topic of Fairtrade and child labor, you can learn quickly here ... on this website and on our radio show we did together with the children from Pakistan, Peru and Malawi. - to Muhammad Salman, Muhammad Kashif, Raja, Samina, Muhammad Rashid, Abdul, Yasmeen, Parveen and Abul from Pakistan!